Ildiko Nova is a Canadian-Hungarian born Roma freelance artist and community worker. Her activism includes awareness of minority issues, human rights, animal welfare and urban problems. 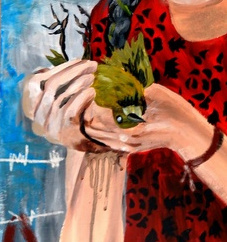 Of her artistic work, she writes: "My paintings represent and honour Roma people around the world. These stateless people are residents of many countries and often face social exclusion, xenophobia and racism. In spite of oppression, they strive to keep their language and culture, perhaps through blood memories. 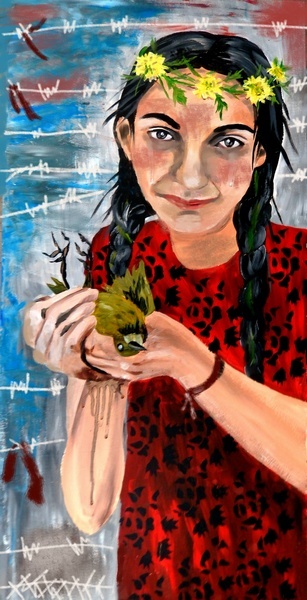 My pieces celebrate Roma survival and resilience as an ethnic group."